With its glamorous association as a US presidential retreat — and the real-life set for Steven Spielberg's filming of "Jaws" in 1974 — today Martha's Vineyard is a top vacation spot for thousands of visitors each year. Offering welcoming accommodations, white sandy beaches, nature in the wild, and walks through fishing villages filled with historic charm, Martha's Vineyard remains one of Massachusetts' coolest summer destinations. Located just off the coast of Cape Cod, Martha's Vineyard is easily reached by ferry, with nearby service from Woods Hole and Hyannis offering frequent schedules throughout the summer via the Steamship Authority. From Rhode Island, the Vineyard Fast Ferry at Quonset Point also offers service to one of Martha's Vineyard's main ferry terminals, Vineyard Haven. Meanwhile, New York City residents have also recently been afforded service aboard the SeaStreak that makes the trek from midtown Manhattan to the Oak Bluffs ferry terminal in just about 5 hours. From rental bikes and mopeds to cars rentals, taxis and buses, it's easy to traverse Martha's Vineyard roughly 100-square mile (9 miles wide, 23 miles long) island. The bus line serviced by Martha's Vineyard Transit Authority is probably the most popular and best transportation deal in town. With fares averaging a dollar a trip, the better option is to obtain a 1-day or 3-day bus pass available at all the major ferry terminals for hop-on hop-off bus service throughout your stay. Don't forget to take a schedule or download or print one online. oldest operating in America, dating to 1884. Filmed around Martha`s Vineyard, the "Jaws"
connection is evident throughout the island..
19th century gingerbread houses in Oak Bluffs..
and lighthouse are best seen at sunset. Most seafaring visitors to Martha's Vineyard disembark at Vineyard Haven, and then travel to the other two main towns of Oak Bluff or to Edgartown. However, linger at Vineyard Haven, and be rewarded with the less-touristy side of the island. Whether it's a romantic stay at the impressive Mansion House or at smaller hotels, inns, or bed and breakfasts, Vineyard Haven caters year-round to visitors seeking a quiet retreat. For shutterbugs, a trip to West Chop Lighthouse (the island's first) and the drawbridge on Beach Road provide some of the more unique "photo ops" to be found at Vineyard Haven. Meanwhile, nearby Oak Bluffs is where most of the tourist action is — offering fun-in-the-sun at the beach, dozens of restaurants, and the island's largest marina. While here, also don't miss a stroll around Oak Bluffs' famous colorful gingerbread cottages containing the most perfectly preserved collection of Carpenter Gothic style architecture in the world. On Circuit Avenue, also check out the oldest operating carousel in America, the Flying Horses Carousel dating back to 1884. For a quick weekend getaway to Martha's Vineyard, visit Vineyard Haven, Oak Bluffs, and Edgartown. Menemsha and further on to very scenic Gay Head and its lighthouse at lands-end. Along the harbor, also witness the well-preserved stately white Greek Revival houses that document the vast riches brought by the whaling industry to this 19th century seafaring village. History buffs will also want to make their way to School Street in Edgartown to enjoy an in-depth look at the island's whaling lore at the Martha's Vineyard Museum. Naturally enough, Martha's Vineyard is a beach-combers paradise. However, while most beaches are open to the public, some are not. Some are privately owned by the communities in which they are located or otherwise protected by Federal law as natural preserves. Best bets? The Joseph Silva State Beach, known to locals as "state beach" runs along the coast from Oak Bluffs to Edgartown, featuring a gradual incline and gentle waves. South Beach State Park, just south of Edgartown, offers wilder surf and scenery and is most popular with teens and college students. A thoroughly enjoyable and memorable getaway to Martha's Vineyard can be had over a long weekend. Yet, whatever you do, try not to miss at least a quick trip "up island" to the scenic fishing village of Menemsha, and then further on to Gay Head Cliffs and it's historic lighthouse (preferably at sunset) for a look at the island in all its rugged beauty. in West Tisbury, closed its doors in 2008. The year-round population on Martha's Vineyard is about 15,000. In the summer, the population swells to about 75,000. Director Steven Spielberg famously filmed several key scenes for the movie "Jaws" in and around Martha's Vineyard in 1974. Edgartown starred as the location for Amity island town center, while the famous harbor scene where the Orca sets sail was filmed in Menemsha. Martha's Vineyard residents have always been known for their rebellious independent spirit. 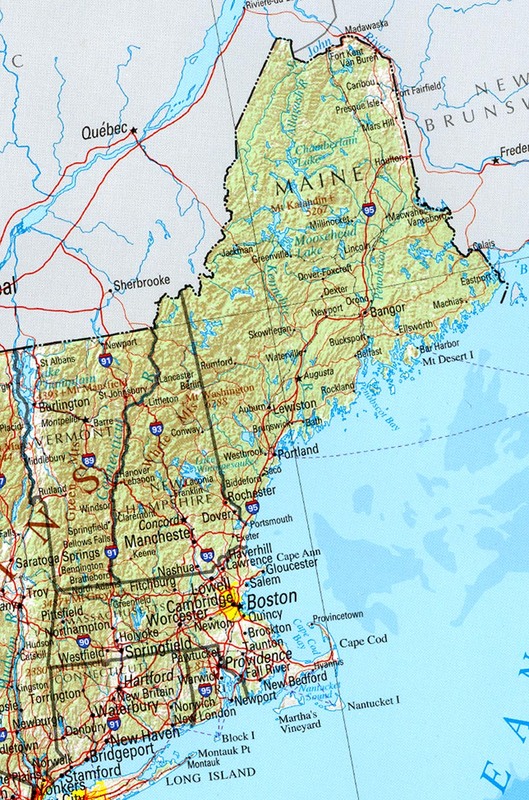 As late as 1977 a disgruntled citizenry were making plans to secede from the Commonwealth of Massachusetts and the United States of America. Famous comedy actor John Belushi, who died in 1982, is buried in the Martha's Vineyard town of Chilmark, where fans and visitors still flock to his grave to pay their respects. Jacqueline Kennedy Onassis, former first lady and the mother of John F. Kennedy Jr., owned a home on Martha's Vineyard in the town of Aquinnah until she died in 1994. Martha's Vineyard is named for the wild grapevines that once grew there. 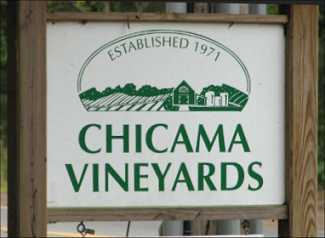 The last winery on the island, Chicama Vineyards in West Tisbury, closed its doors in 2008. Ulysses S. Grant was the first sitting U.S. president to vacation on Martha's Vineyard while in office. Several other presidents - including John Adams, Calvin Coolidge, John F. Kennedy, Richard Nixon and Bill Clinton - enjoyed vacations or day trips on Martha's Vineyard before, during, or after their presidential terms. President Obama vacationed on the island in August 2009. Martha's Vineyard Chamber of Commerce - The official site featuring seasonal events, news and updates, ferry and bus schedules, guides to hotels, restaurants, bed & breakfasts, maps, photos & directions. Martha's Vineyard - Wikipedia - A good overview of island history and whaling lore including information on top attractions and points of interest with maps, photos, related references and resources. The Martha's Vineyard Times - Get a leg-up on what's happening around the island with a complete calendar of events, restaurant reviews, news and updates.